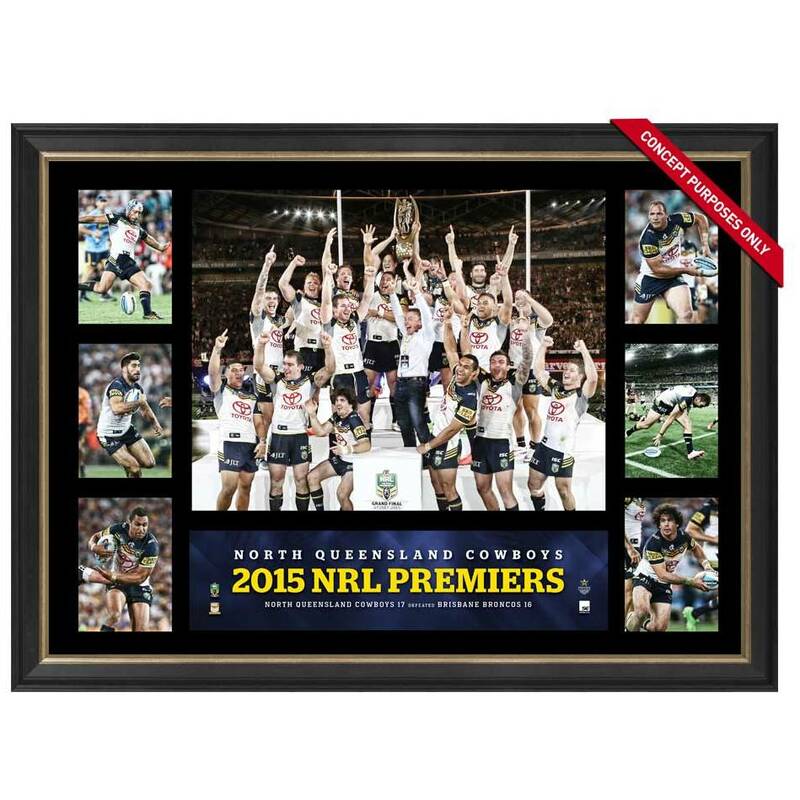 Official Memorabilia, in conjunction with the NRL and the North Queensland Cowboys, is proud to release the 2015 Premiers Tribute Frame. Officially licensed and endorsed by the NRL, it is a must-have for all Cowboys fans and astute collectors alike. Don’t miss out – secure your edition before stock runs out!